On the occasion of Ambedkar Jayanti, the people of Akola had attended an event in Bhimtekdi of Hingani area in Akola district, to mark the 128th birth anniversary of Babasaheb Ambedkar. 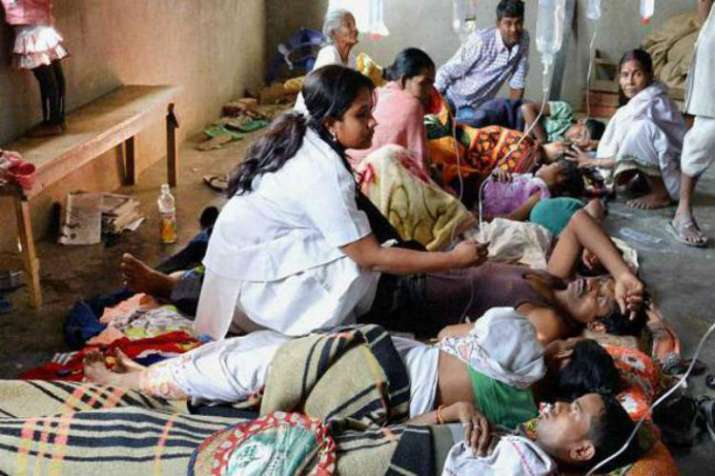 After consuming food at a social gathering around 107 people have been hospitalised in Maharashtra's Akola district. Dahihanda police have registered the case and have begun a probe. They have collected some food samples which have been sent to laboratories for analysis. "People complained of dizziness and several of them vomited, following which they had to be rushed to the hospital. At least 107 people were admitted," a police official said, who is investigating the issue. After a brief treatment, many of them were discharged from the hospital. On April 14, the whole nation celebrated Dr. Bhimrao Ambedkar's birth anniversary.